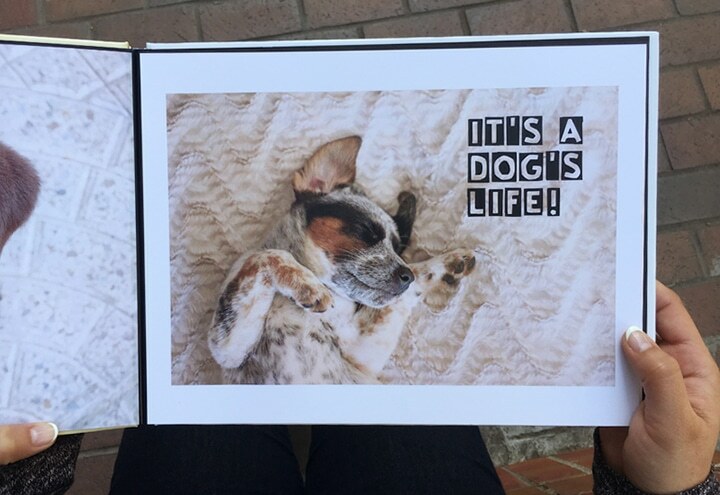 We know you love incorporating text and embellishments into your custom photo books. We also know that it can be a total bummer when you have the PERFECT photo, but the background is too busy to add a name, favourite phrase, or inside joke. 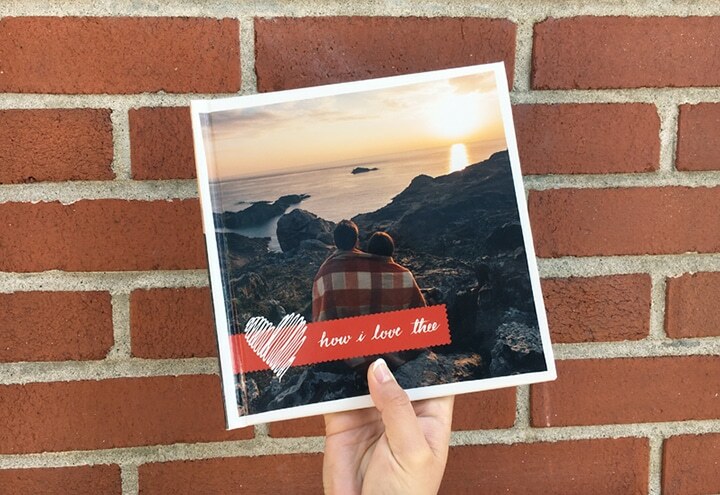 Keep these five photo tips in your back pocket the next time you plan to add text to your photo book. Read on to get wordy! The sky is a wonderful canvas. Point your camera at the sky and frame the shot with spring blooms, palm trees, or amusement rides. Whether text is placed against a clear blue sky, fluffy clouds, or a sunset, your words will shine. Place your subject to the left or right side of the frame, leaving negative space on one side for text. You can always crop your photo to the desired size to achieve this effect. This composition gets two paws up from us! 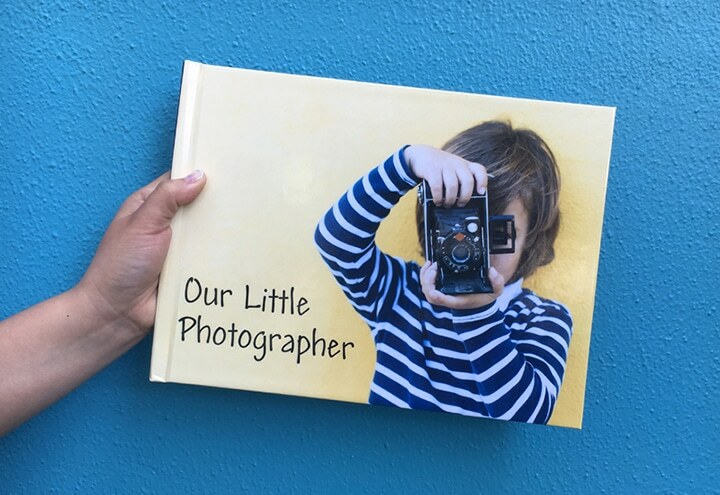 Photograph your subject against a solid backdrop like a painted wall, leafy hedge, or good-lookin’ white fence to make your text easy to read. You can even create a little makeshift studio with an ironed bed sheet. Your eyes love seeing contrasting colours that pop, like this hot pink text. Also, the thicker the font, the better it will read against any backdrop. Shape embellishments can also be used as backgrounds when you want to give your text a little something extra! We paired a heart with a washi tape embellishment over this photo. 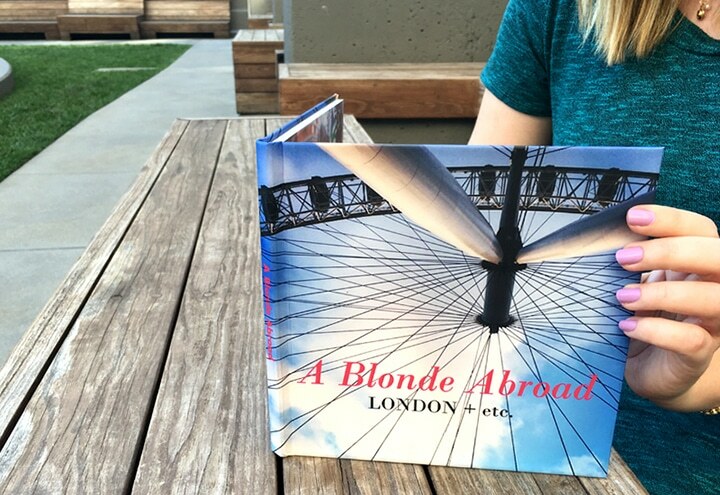 There are a million ways to use type in photo books, so show us what you got! 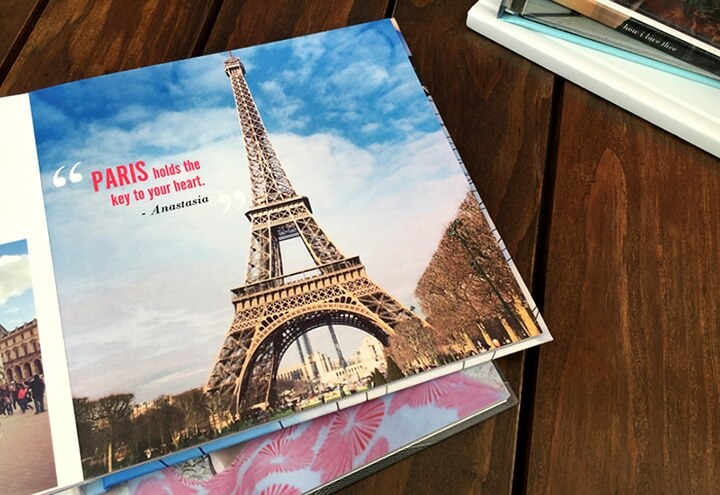 Tagged as adding text, ideas, photo book, top tips.